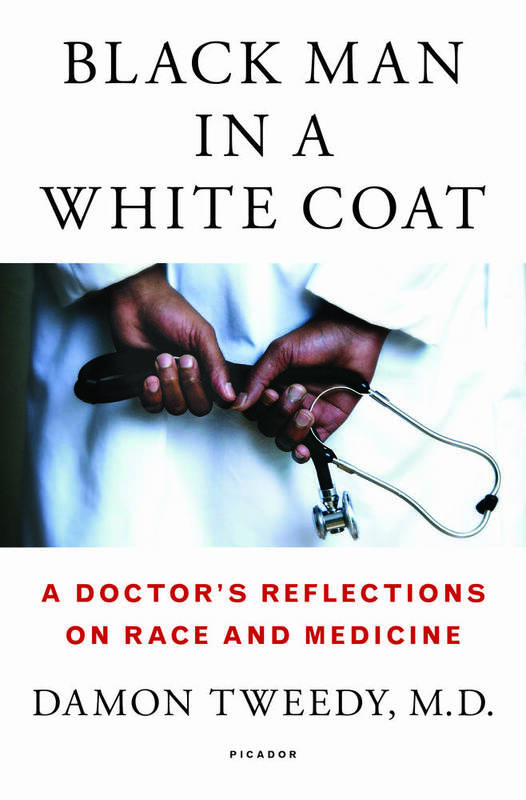 For this month's edition of The Thread Book Club, we're reading "Black Man in a White Coat," a doctor's reflections on race and medicine. Damon Tweedy attended Duke University's medical school in the mid-1990s, when African-Americans accounted for only seven percent of medical students nationwide. That percentage hasn't changed much today, Tweedy writes. At Duke, he was on a scholarship designed to recruit more African-American students into medicine, but he wasn't welcomed by the professors or by many of his fellow students. It didn't take long before he was confronting his own self-doubt about whether he could handle the program. "Day after day, I spent just about every waking hour with textbook in hand. I was determined to prove to each of my professors that I wasn't a token student admitted to medical school by accident or pity." Tweedy will discuss his memoir with MPR News host Kerri Miller for The Thread Book Club on Thursday, Sept. 24. Dr. Megan Walsh, who practices at Hennepin County Medical Center in Minneapolis, will join the conversation as a guest reader. It promises to be a candid and provocative discussion about race and medicine. Read along with The Thread and chime in on Twitter. We'll ask your questions in the studio on Sept. 24. Every month, The Thread Book Club selects a book and invites the author for a conversation in the studio. Readers can join the conversation and submit their own questions for the author. The Thread also invites a guest reader into the studio — someone who can add his or her own unique perspective to the conversation. • March: "Green on Blue"
• April: "The World Beyond Your Head"
• July: "In a Dark Wood"